Inspired by teachings of the Buddha, great masters, teachers, and writers, this is a book designed to help people connect to their inner divinity and find their spiritual path. It is overflowing with profound quotes, sayings, and insights, each presented on its own to allow the reader to dip in randomly and consider one insight at a time. Each reading is guaranteed to immediately inspire or provide food for thought. 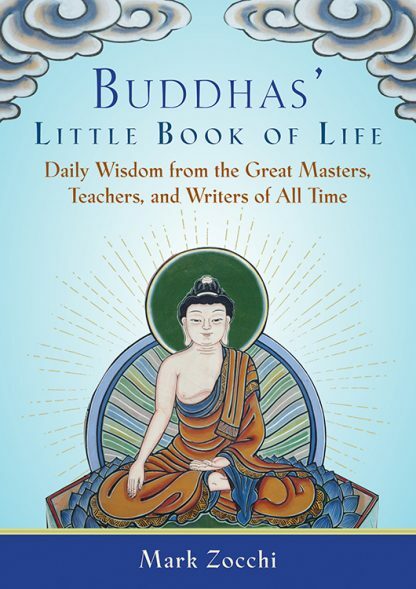 The quotations and sayings have been chosen from Gautama Buddha and other masters of spirituality and inspiration, such as Milarepa, Longchenpa, his Holiness the 14th Dalai Lama, Thich Nhat Hanh, Sogyal Rinpoche, and other greats such as Cicero, Rumi, Lao Tzu, Mother Teresa, and Shakespeare. This book is designed to live on your desk, coffee table, or nightstand to provide you with daily comfort, wisdom, and spiritual nourishment.